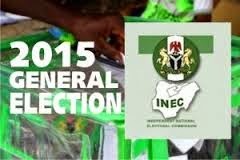 The Independent National Electoral Commission (INEC) has started the process of reviewing the just concluded general elections. The Chief Press Secretary to INEC Chairman, Mr Kayode Idowu, in an interview with Channels Television noted that in the review, the commission would be examining areas where it had problems within the general elections and begin to explore alternatives that would facilitate the electoral process. Speaking on Saturday’s supplementary elections in Taraba, Imo and Abia states, Mr Idowu said that the elections went well in the states despite pockets of issues. He maintained an earlier stance that the commission would not fail to prosecute election offenders.